Explore the unique wines and spectacular scenery you’ll only find in East Tennessee. 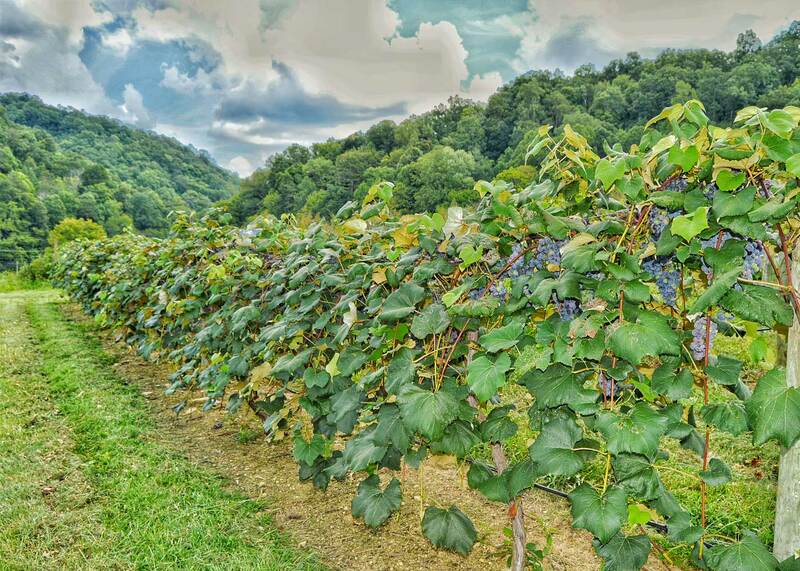 Three wine trails and 20 wineries dot the countryside of Middle East Tennessee. There’s no better way to explore our region! We have dozens of award-winning wines, beautiful vineyards and spectacular rural scenery. Each trail and every winery offers a memorable visitor experience in Tennessee’s emerging wine region, Nine Lakes. The Nine Lakes Region has a climate unique to anywhere in the United States. It is bordered by two Appalachian mountain ranges: the Great Smoky Mountains and the Cumberland Mountains, and dotted with nine beautiful lakes. Using varietals that thrive here, our skilled and talented vintners create wines that can only be found in East Tennessean. The Nine Lakes Region has a number of exciting wine festivals and smaller wine events each year. Festivals typically offer samples of up to 100 Tennessee wines, with live music, great food, wine seminars, and even hot air balloon rides, too. Join us! Nine Lakes Wine Country is filled with beautiful vineyards, incredible views and memorable wines. Enjoy scenic drives as you explore one or all of our three wine trails. Experience four Middle East Tennessee wineries on the Great Valley Wine Trail, which winds from rural Maynardville, Blaine and Bybee, to bustling Sevierville. Two of these charming wineries are also working family farms. One is a beautiful country estate and vineyard, and the fourth winery specializes in Italian style sparkling wines. Reserve about two days to complete this trail. Enjoy four wineries and a cider barn along this trail. Foothills Wine & Cider Trail skirts along the Great Smoky Mountains, from quaint Madisonville, TN, into peaceful Townsend, and then over to bustling Sevierville. Reserve about two days to travel this beautiful and scenic trail. As the first Middle East Tennessee wine trail, Rocky Top Wine Trail features five wineries in Sevierville, Pigeon Forge and Gatlinburg, “Gateway to the Smokies.” This exciting trail is convenient to all the shopping, dining and adventure rides of the area, and can be completed in one to two days.